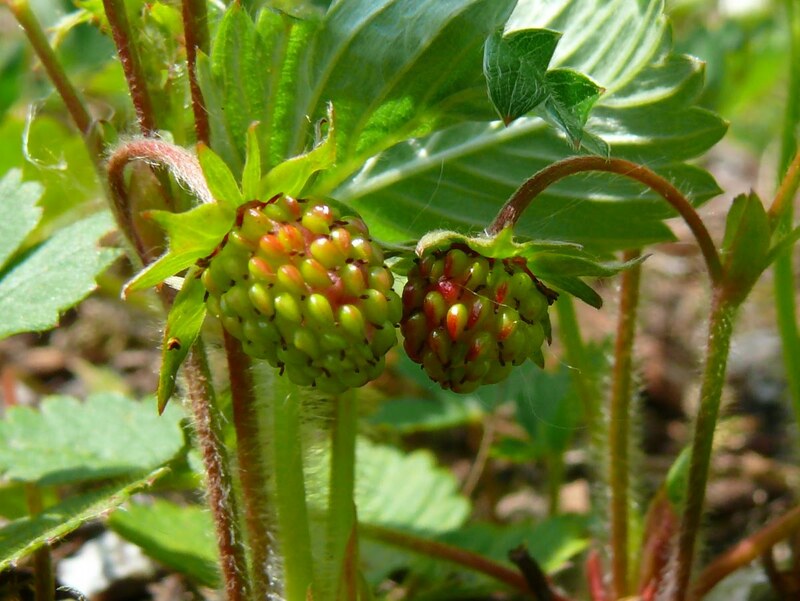 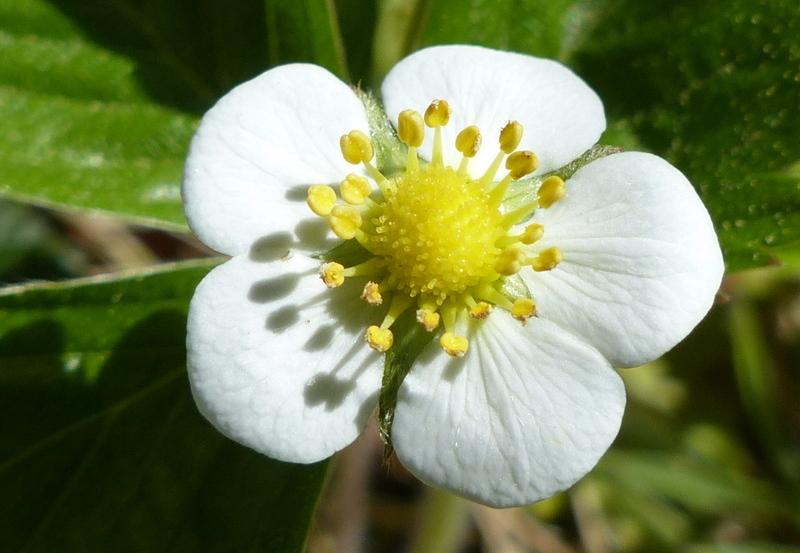 The Wild Strawberry flowers from April to June and the fruits ripen in July. 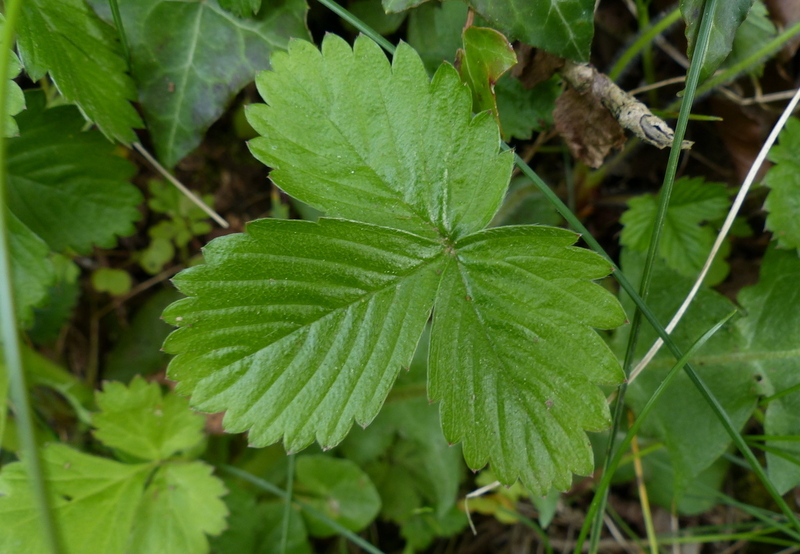 It grows almost anywhere that it can get at least partial sunlight and I often find it growing in shade but plants in shade sometimes don’t produce fruit. 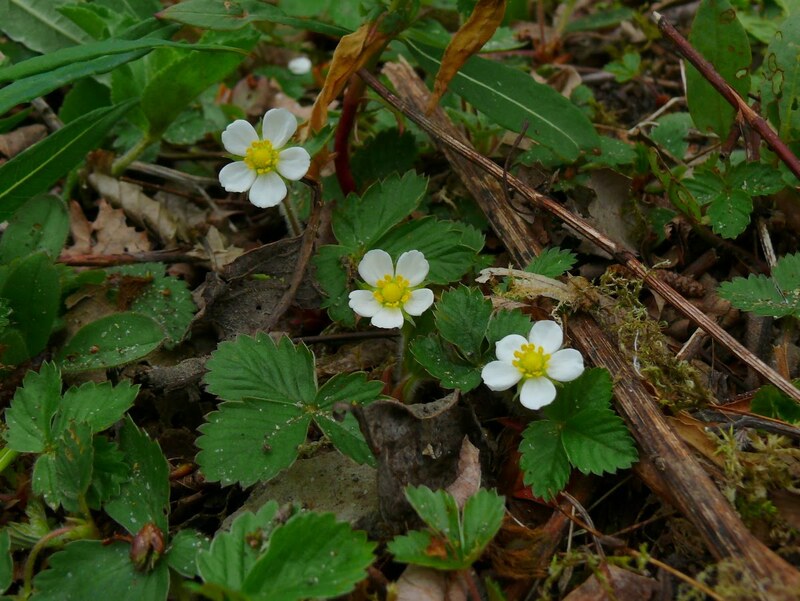 Other common names are Woodland Strawberry and Alpine Strawberry. 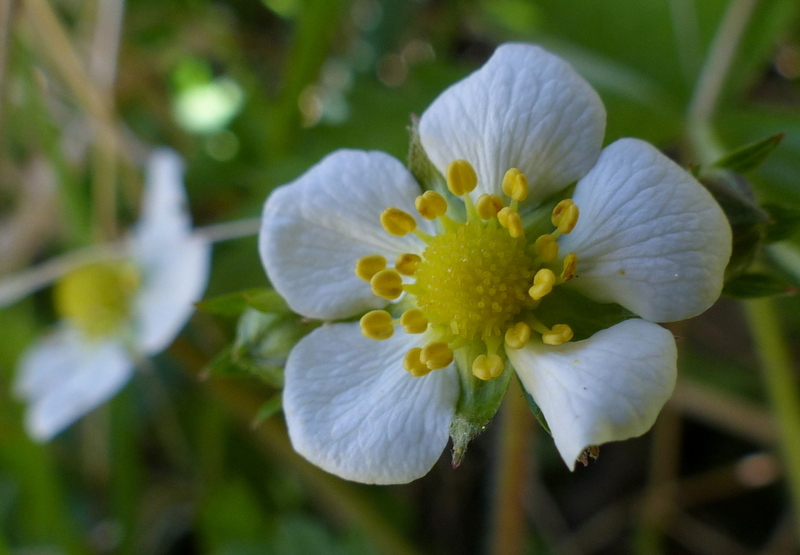 Take care not to confuse this flower with the Barren Strawberry, Potentilla sterilis which is in flower at about the same time. 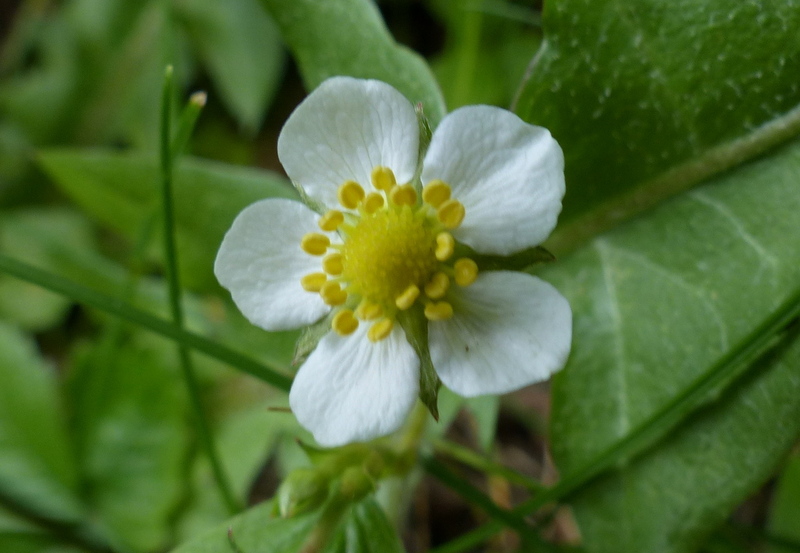 They are both members of the Rose family and look quite similar. 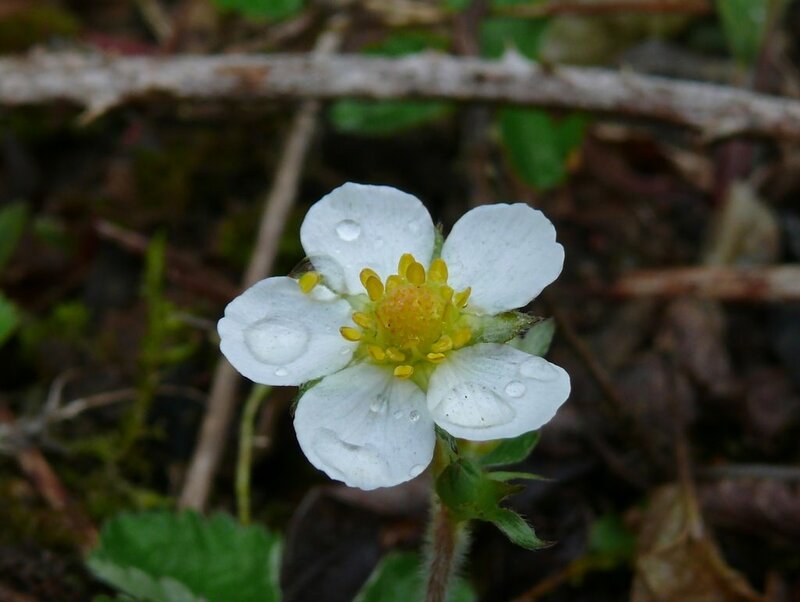 The easy way to tell them apart is to look at the centre of the flower. 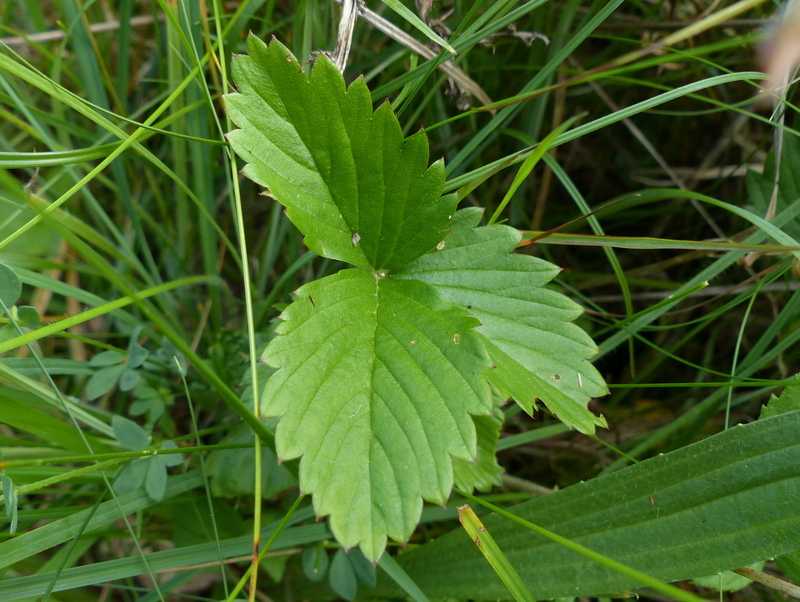 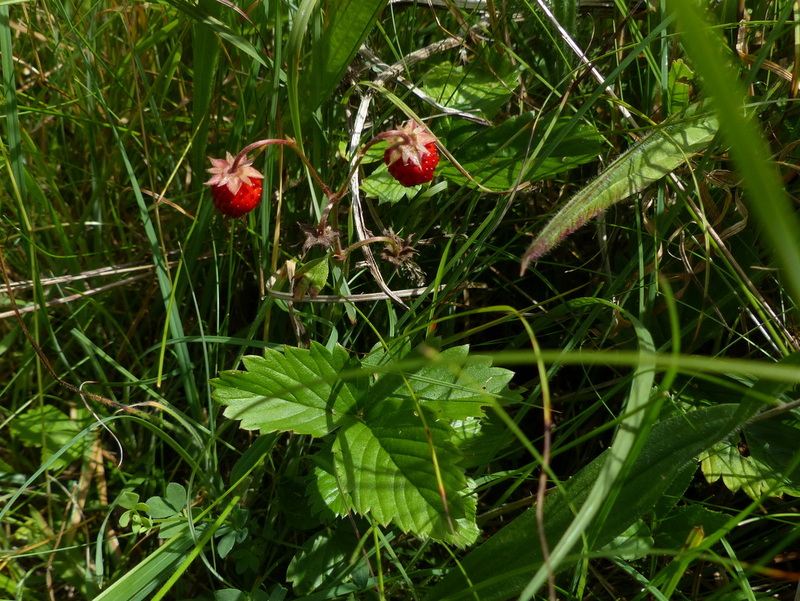 The Wild Strawberry, pictured below, has a yellow dome in the very centre. 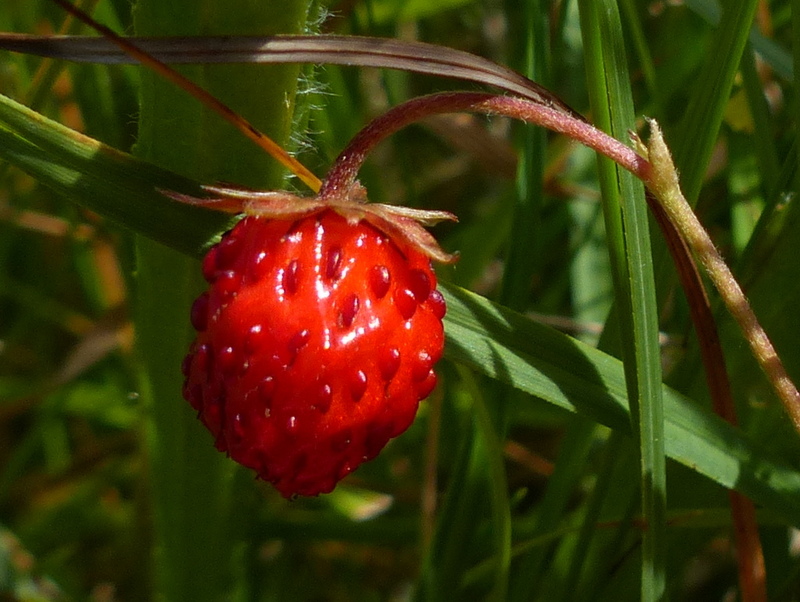 The Barren Strawberry doesn’t. 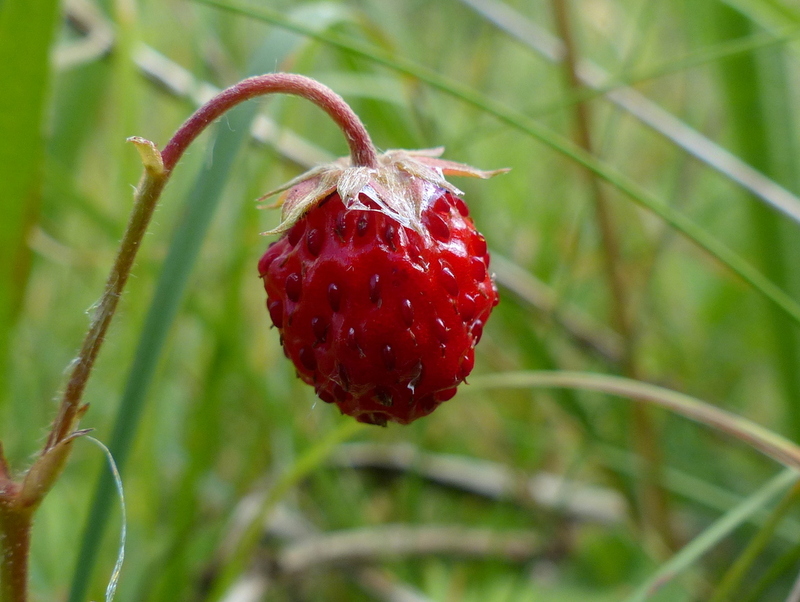 This next picture is a link and if you click on it you will be taken to a post about the Barren Strawberry. 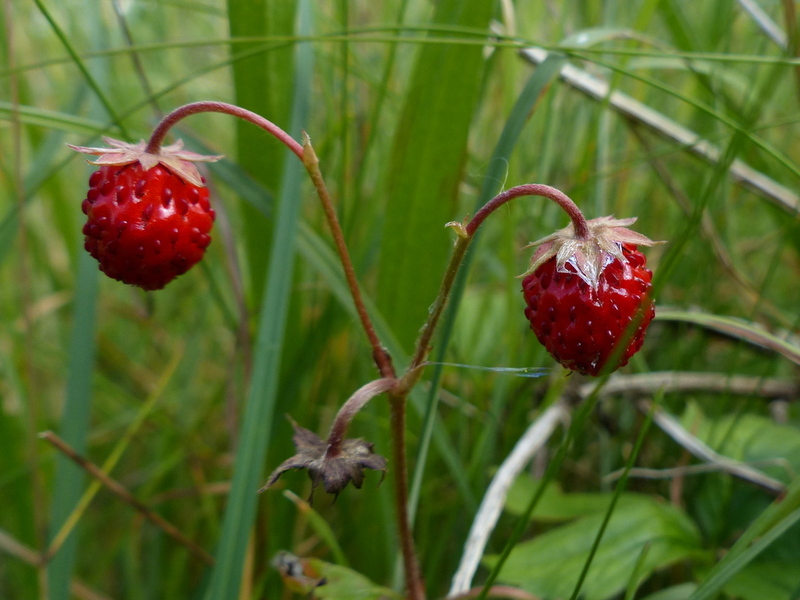 The Leaves of the Wild Strawberry are split into three leaflets, each being about one and a half inches long, oval and with a toothed edge. 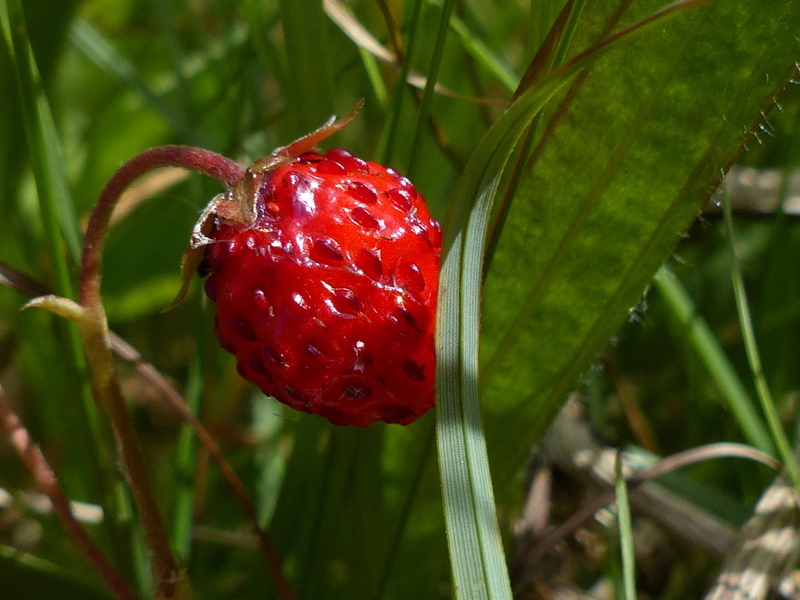 The fruit is edible and has a strong strawberry flavour, they are however very small when compared to modern cultivated strawberries. 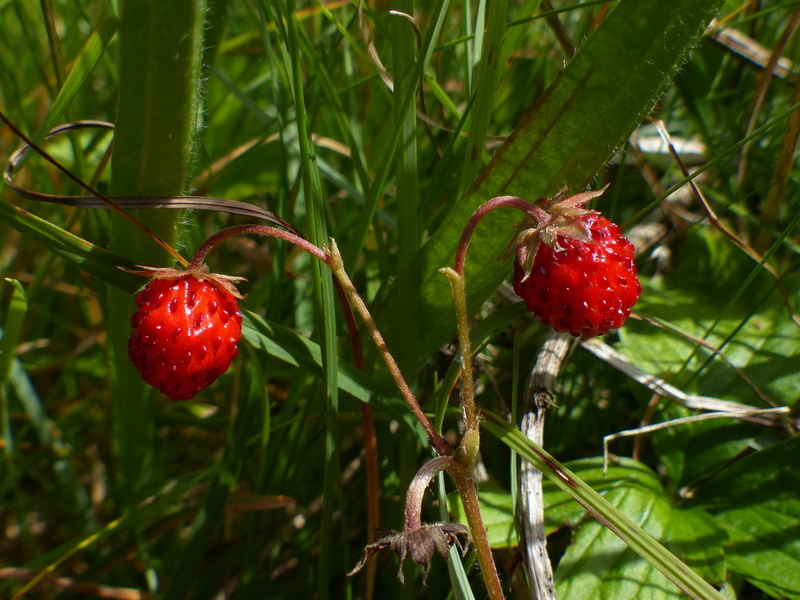 Cultivated or Garden Strawberries only started to appear in the late eighteenth century but man has been collecting and eating Wild Strawberries since the Stone Age. 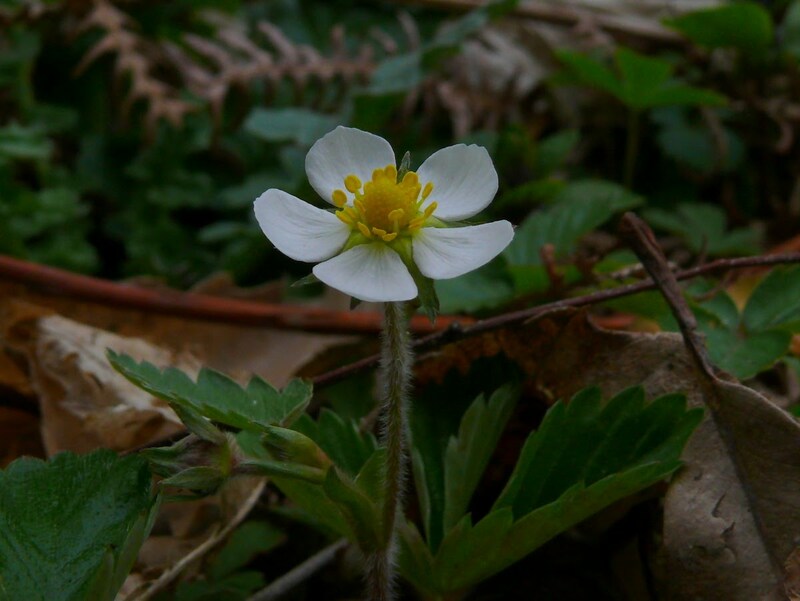 There is archaeological evidence that they were cultivated in Ancient Persia and they are mentioned in Ancient Roman literature. 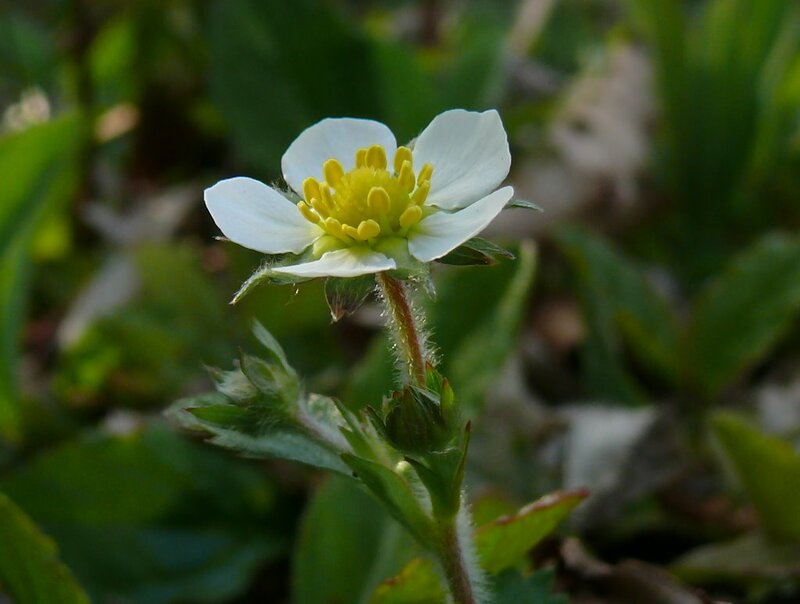 They were once believed to have medicinal properties, specifically as a cure for depression and have a long history of use in European medicine. 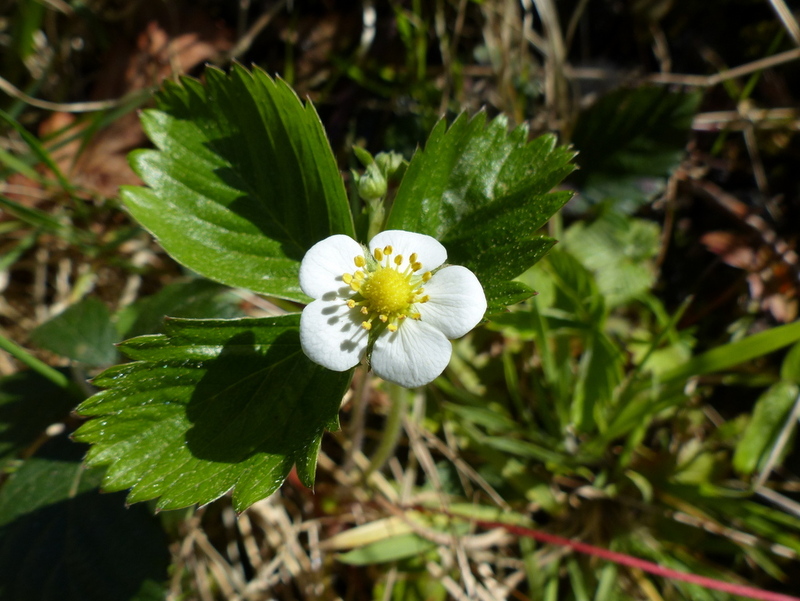 Also small animals and birds are very fond of them.